They are a 19th century development from the Scottish Blackface and a Hebridean variety of the Scottish Dunface. 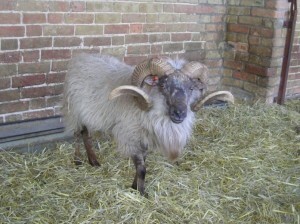 A beautiful example of a Boreray Ram – what fantastic horns! When the people of St Kilda were evacuated in 1930 they left behind a small flock of these sheep which are still to be found there living wild (feral). 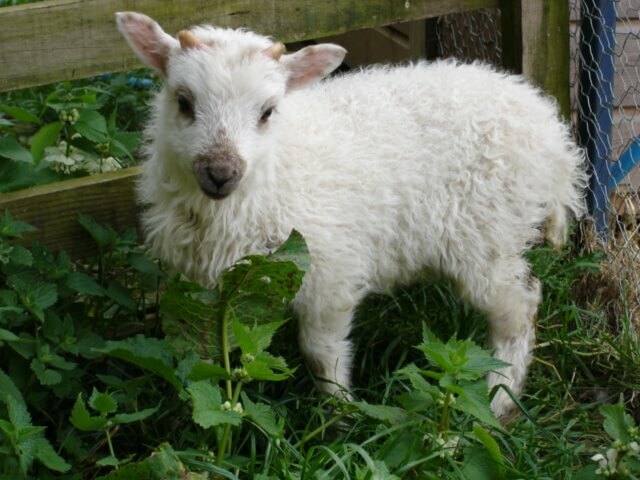 Six Boreray sheep were removed from the island in the 1970′s and there is now the odd tiny flock on the mainland. 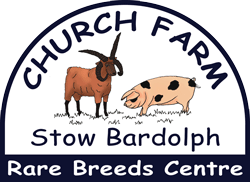 These sheep of ours were really difficult to find, and we hope to do our bit to improve the numbers. Although our sheep are tan in colour they also come in grey and cream with faces and legs clear of wool that is shed naturally around July. There is no real commercial use for the wool except perhaps as linings for hanging baskets. Both male and female Borerays have horns. 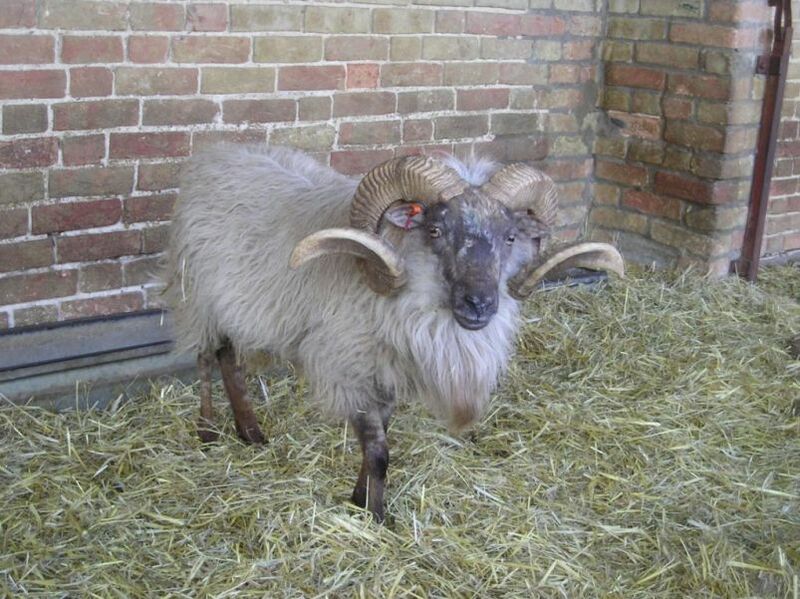 The male (ram) when fully grown has fantastically large open spiraled horns which can be used to make show crooks and walking sticks.